Created as part of a large series of species on display at the Oceanário de Lisboa. 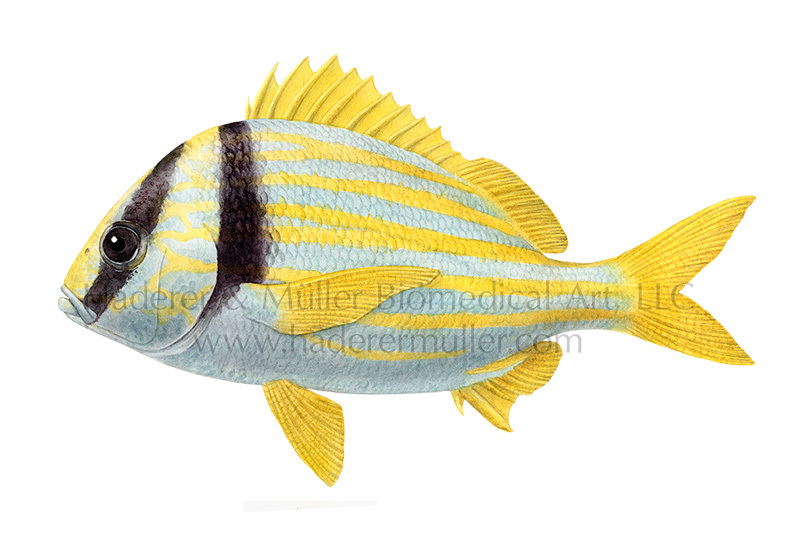 This illustration of Anisotremus virginicus (porkfish) can be seen on backlit panels near the tanks to help the public identify the fish. The illustrations have also been printed in guidebooks, in coffee table books, and on Oceanário merchandise and shopping bags.